Today the Cities of Somerville and Cambridge Massachusetts are pleased to make this important announcement of our continued support for and commitment of new funds to bridge the funding gap that will allow the construction of the Green Line Extension Project (GLX) to move forward. It is our understanding that MassDOT has completed its review of the GLX and developed a new cost estimate, and that on Monday, May 9, MassDOT will transmit information for review and evaluation by the MBTA Fiscal and Management Control Board (FMCB) and the Massachusetts Department of Transportation Board of Directors that includes a revised budget and plans and a statement of need for municipal governments hosting the GLX to contribute funding. Based on that understanding, we are prepared to make a recommendation that our municipalities assist the state in the funding solution for this project. We would like to thank the Commonwealth of Massachusetts and the interim design team for their swift but careful scrutiny of the project plans and budget, their commitment to the inclusion of public and municipal feedback, and their diligence in developing a new strategy for moving forward. Should the FMCB approve their expected recommendation to construct the GLX, residents of the Commonwealth will reap the benefits of the team’s critical effort for decades to come. It is our understanding, however, that without firm financial commitments from our municipalities that the GLX could be canceled and the Commonwealth would forfeit not only its $996 million federal New Starts grant award, but an estimated $700 million in “sunk costs” of the state’s $996 million share of the project. Additionally, the fulfillment of the public needs that this project was designed to meet would remain unrealized. The purpose of the GLX is to improve regional air quality as required by legally binding resolutions, reduce roadway congestion, encourage sustainable economic growth, and provide a convenient means of public transportation for Massachusetts residents, workers and visitors. 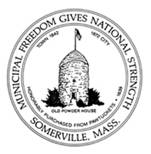 To ensure that these needs and goals do not go unmet, the cities of Cambridge and Somerville intend to seek to expand their financial partnership with the Commonwealth to construct elements of the GLX program, subject to and contingent upon approval by the Cambridge City Council and the Somerville Board of Aldermen. It should be noted that both the cities of Cambridge and Somerville have previously invested significant funds and resources in sunken costs in support of the GLX project, including the City of Somerville’s investment of more than $8 million for land acquisition and other infrastructure, that have relieved the Commonwealth of several specific required project costs. Similarly, the developers of the North Point area are investing tens of millions of dollars in improvements that support and enable the GLX to occur. Expanding this financial partnership is an extreme and unprecedented arrangement for a state infrastructure project. Despite the fact that our cities bear no responsibility for the cost overruns that brought the GLX to this moment of crisis, we will seek to support the Commonwealth by expanding our cost-sharing role. The Green Line is that important to our communities, our region, and our state. It is our understanding that the new cost estimate for the GLX will retain core program elements including seven light rail transit stations including a spur to Union Square, a Vehicle Maintenance Facility, a Community Path, and related utility upgrades. With that clear understanding, it is our intention as Mayor of the City of Somerville and City Manager of Cambridge to recommend to the Somerville Board of Aldermen and the Cambridge City Council that our cities commit to underwriting project costs for specific, tangible elements that would deliver meaningful public safety and quality-of-life benefits for our residents. After discussions with the state, the needed value of new financial participation in the GLX for the City of Somerville is projected to be $50 million and the value of the City of Cambridge’s contribution is projected at $25 million, including financial contributions from the North Point developers, to close the funding gap. Again, any contribution will be subject to Board and City Council approvals. Furthermore, it is our intention to work, alongside MAPC, with Governor Baker’s administration and the cities’ state and federal delegations to seek legislative action on new and refined “value capture” tools capable of supporting new infrastructure investments around Massachusetts. In addition, we request that the Commonwealth establish a baseline tracking framework for future Infrastructure Investment Incentive (I-Cubed) state tax revenue accruals generated by transit-oriented development around the GLX, so as to not preclude a formal application to use eligible I-Cubed revenues to offset Cambridge’s and Somerville’s proposed municipal contribution, if they choose that option. It is clear that the Commonwealth is shifting to a new paradigm for major transportation infrastructure investments. Across the nation, many states have established predictable and equitable frameworks for local value capture financing in state transportation projects. As we work toward that goal, Somerville and Cambridge will stand with the Commonwealth to advance the state of the art. We do so with the expectation that this is truly a new precedent for statewide policy, and that our communities will not be held to higher standards than other Massachusetts municipalities seeking state and federal financing for roadway, transit or other infrastructure projects.